Although Meghan Markle‘s father has yet to meet his royal son-in-law in person, Thomas Markle called Prince Harry “great” and “an interesting guy” from their conversations over the phone. 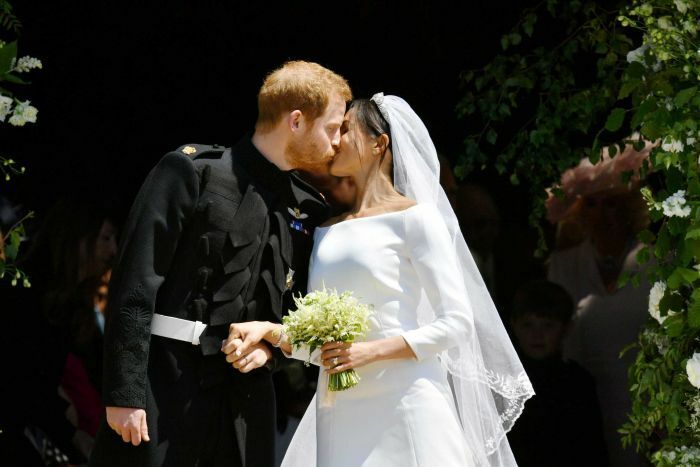 Thomas, who bowed out of attending the royal wedding on May 19, opened up about his relationship with Harry in an interview with the U.K.’s Good Morning Britain early Monday. Mr Markle also said he talked politics with Prince Harry over the phone — and that the Royal had argued that he should give US President Donald Trump a chance. Mr Markle said he also asked his son-in-law about Britain’s 2016 decision to leave the European Union and got the impression Prince Harry was comfortable with Brexit. “I think he was open to the experiment,” Thomas Markle said. Prince Harry’s press office declined to comment on the televised interview, which could raise eyebrows because senior Royal figures are scrupulously careful not to comment publicly on domestic or international political affairs. The 33-year-old royal even made sure to give Thomas a call before presenting Meghan with her ring, to formally ask for his daughter’s hand in marriage. He told broadcaster ITV he had several phone conversations with Prince Harry, including one in which the Prince asked for permission to marry his daughter. Although Thomas was surprised to find out his daughter would be part of the royal family, he feels Harry is just as lucky as she is. Can’t believe he didn’t go to the wedding. Was so unfortunate what happened to him.